A. P. Collymore tours the UK and visits some of the historic spots where the nation's greatest pioneers were sick. During his travels he takes in the doorstep of the Red Lion in Bristol, where Isambard Kingdom Brunel threw up in 1829. He also pays a visit to the Hand and Racquet in East Cheam where Lord Byron was spectacularly ill on several occasions during the summer of 1806. But most memorable is his visit to the tiny village of Paignforth in Cheshire, where the residents still celebrate the occasion in 1646 when Sir Thomas Fairfax was able to harness an episode of explosive diarrhoea to wipe out a whole division of Royalist troops. Has the development of human evolution been manipulated by super intelligent star-frogs from the planet Neptune? Do they live amongst us still, guiding the affairs of the planet for their own nefarious froggy purposes? This is certainly the belief of G. Martin-Mann, who makes use of advanced pseudo-scientific gobbledegook and vague, un-referenced research to prove, once and for all, that we have been visited by amphibians from another world. 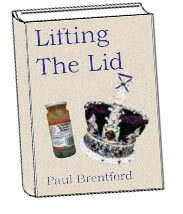 For twenty years Paul Brentford was employed as the Official Pickled Onion Jar Opener to the Queen. Whenever Her Majesty felt peckish, Brentford would always be on hand to loosen the lid. Indeed, the Sovereign often referred to him affectionately as 'Knuckles', thanks to his prodigious grip and infallible technique. And it was in his privileged position that Brentford was a witness to the drama and the scandal of the monarchy: the tragedies and triumphs, the heartbreaks and the hype. Now you too can share his unique insight into the Royals when his blockbuster exposé of life within the private apartments of Buckingham Palace goes on sale next week. At last, all the inside gossip from the man who really knows his onions. The real story of the SAS patrol group inserted into enemy territory during the Gulf War. 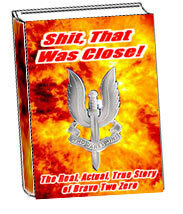 For the first time you can read the true life account of someone who was actually there, watching all the TV news broadcasts in his front room in Aldershot. Dead on Arrival is the latest book to feature the intrepid Nick Farrow, Ninja Doctor. There's been an unfortunate accident at Trampington Cottage Hospital... Or has there? Who is the strange hunchback on the stairs? What does Nurse Cooper keep in her locker? What is the strange smell in the pharmacy, where does Carol Vorderman fit into all this, and what's with the tractor? Find out in Adolphous Bongo's latest epic. Fran Williamson presents this fascinating new perspective on one of the most colourful characters in English history. There is no evidence to suggest that the infamous monarch was homosexual, and there is little support for the theory. Even Ms Williamson herself is unconvinced, but that doesn't mean she can't spot a best-seller when she gets a whiff of it. Comes with free stick-on beard. Think yourself thin with the diet book that's sweeping the nation. The latest best seller from one of TV's top chefs. Follow up to the highly successful 'Making the Most of Roadkill'. 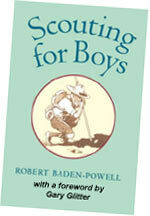 A free copy of Baden-Powell's seminal 'Scouting for Boys' with every order.